Join us for an evening of wine and chocolate, while you shop a selection of Agnes & Dora clothing! 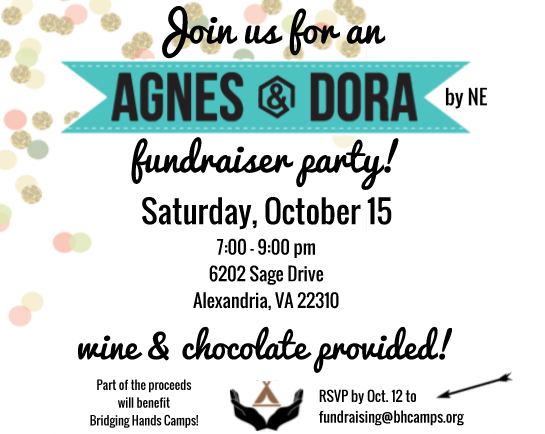 Nikki and Emilia of Agnes and Dora By NE are donating a part of their proceeds to Bridging Hands Camps. Please RSVP by October 12th by email to fundraising@bhcamps.org if you plan to attend. View the Facebook event page here.